As the prisons in New Zealand have become more and more crowded, it’s become clear that a creative solution is needed. That creative solution came in the form of shipping containers. 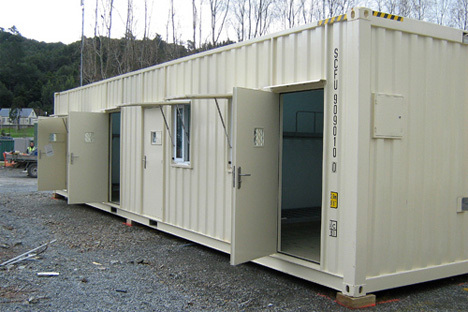 The sturdy steel containers had to be modified slightly to meet the security needs of a prison, but prison officials claim that two inmates can be housed in each container for about half the cost of a conventional prison cell.